This glorious riverside setting, old mill wheels and stone tower house all to the theatre and history of the Priest House. 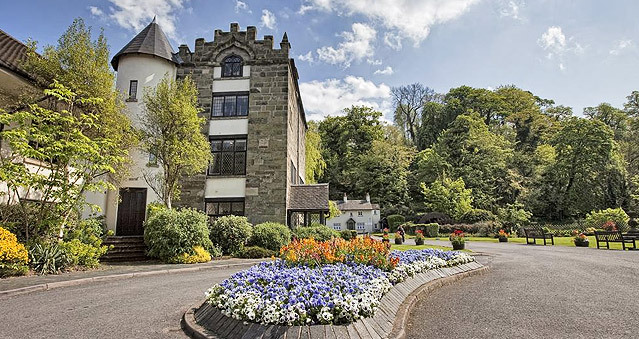 Built around a mill tower with its very own water wheels, this 42 bedroom hotel is perfectly placed for a romantic break, an exclusive conference venue or teambuilding event. The Priest House Hotel has hand-picked a fine selection of food and drink to compliment the charm and romance of our English Countryside setting. Fine dine in the beautiful restaurant dining room or relax in the newly renovated Millstream Bar & Terrace where you can enjoy al fresco dining overlooking the River Trent in the Summer months. Fishing is permitted on the privately owned riverside within the hotel grounds for all residents of the hotel. Location: Motorway link M1 J24; 8 miles from both Eaton and East Midlands Parkway mainline stations.